This day will be written down in history as the day that the Nike Lunar Epic was released. 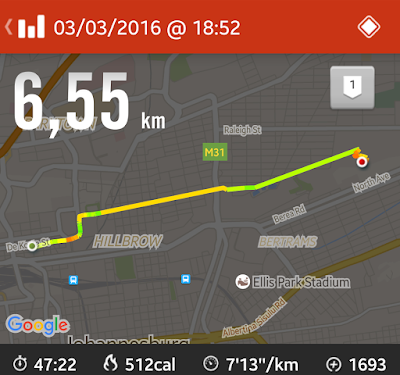 This is the route from today's run, we literally ran jozi. From Hilbrow to Berea to Yeoville and ultimately the Astronomical Society of Southern Africa in Observatory. This was the NRC Local Run of today. I have been seeing little teasers of this shoe on instagram. Posts with a footprint in what looks likes moon sand and today was the day that the shoe was finally released. What caught my eye about this shoe is that it has a built in sock. Basically, it is just one flyknit upper. I would love to have an opportunity to run in these shoes. Unfortunately, there weren't any test shoes at today's Nike Run Club. I hope they have them in future so I can run in them and maybe 1 day I will own a pair. At a $175 price tag, with our weakening rand that does not seem like a possibility at the moment. 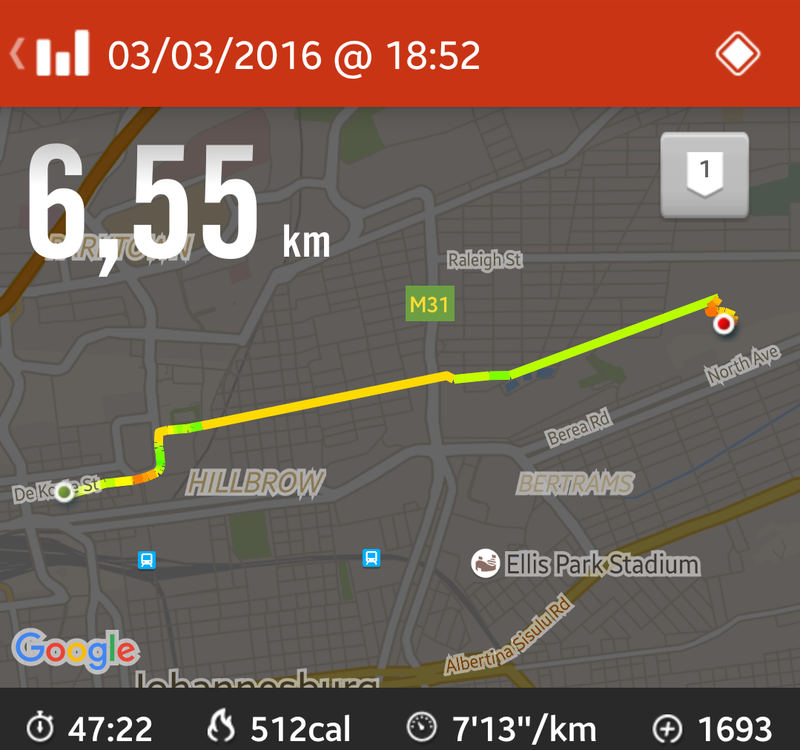 I love running through the parts of Johannesburg, that people think are too dangerous to run in. For the first time in my life, I ran through Hilbrow at night. Hilbrow is a notorious suburb in Johannesburg that has been taken over by ruin. If the streets of Hilbrow could speak, they would write chilling stories of crime and dread. Berea & Yeoville... I don't know much about them but I do know that they are not places I would normally run on my own. At the end of it all I saw the entire Jozi city lights. I definitely need to visit this place during the day.